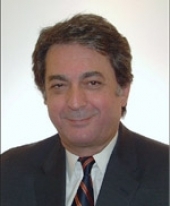 Dr. Benoliel is the Director of the Center for Negotiation located in Potomac, Maryland, USA. In his 20-year career as a management consultant and corporate trainer, he has provided consulting and training services in Effective Negotiation; Strategic Planning, and Leadership to organisations in the United States, Africa, and the Middle-East. Dr. Benoliel received his doctorate in Human Resource Development from The George Washington University. His doctoral dissertation was selected as a finalist to the Donald Bullock Award and in 1991 he received the Special Achievement Award from The American Society for Training and Development (ASTD, D.C. Chapter). As a university professor of management, Dr. Benoliel's more than 15 years experience include teaching Conflict Resolution and Effective Negotiation in the MBA Program at The Johns Hopkins University, and in the Executive Program at the University of Maryland University College. His students nominated him several times to the Best Teacher Award. Dr. Benoliel has presented in numerous national and international conferences.